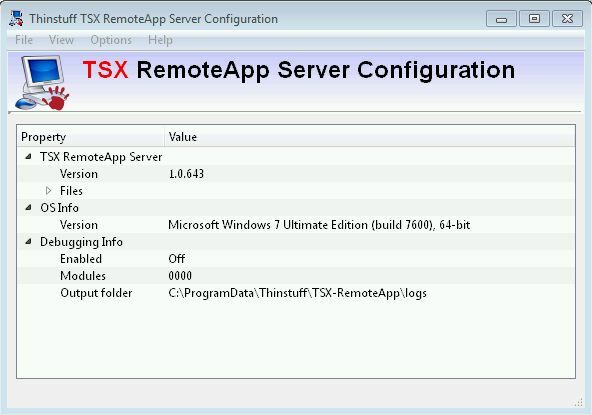 The TSX RemoteApp Server Configuration gives you an overview/status information about the TSX RemoteApp Server. 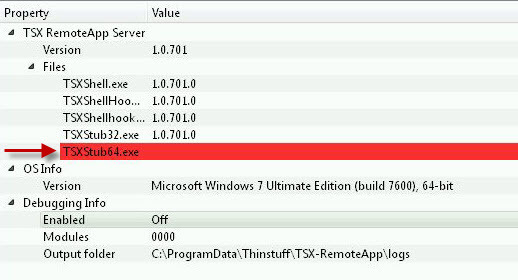 If a used file or library is missing/corrupted it will get marked in red. In this case please contact our Technical support to analyze the problem.